Important: The safety breakaway clip & clip connecter shown in the image are not included in the print price. Our extra wide 25mm polyester lanyards are perfect for large logos and big bold text that can really make a statement. Rest assured everyone will know who you are if you are wearing one of these lanyards. 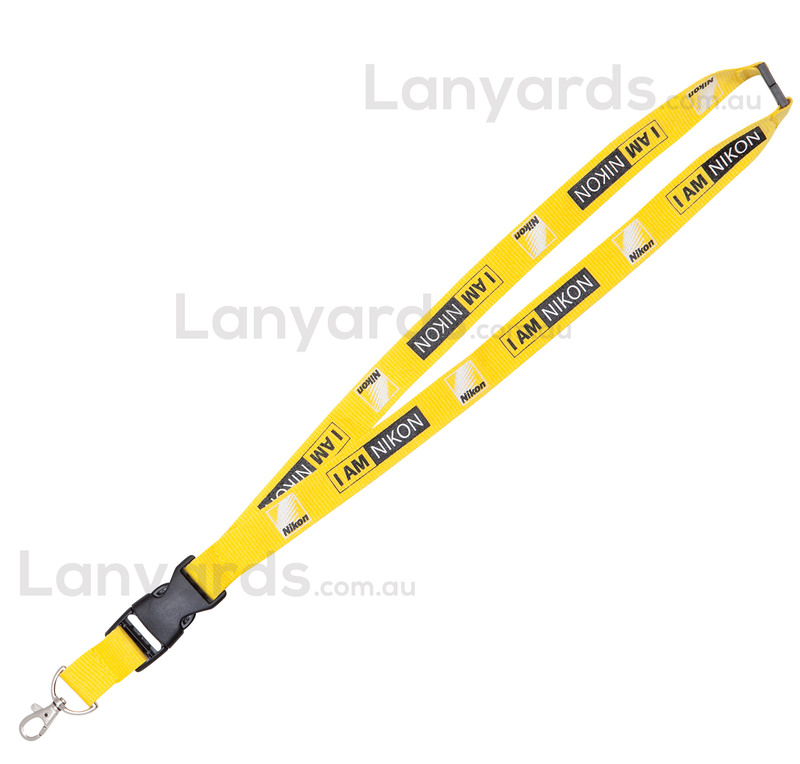 Pick a good contrast between the lanyard and print colour to really make a statement and with the convenience of having four different standard attachments, these really are a terrific choice in custom lanyards.